4. Select a potential solution. 6. Check the solution’s impact. By following this road-map, you can easily solve problems at your business. However, make sure you have leaders on your team that can properly execute this method. 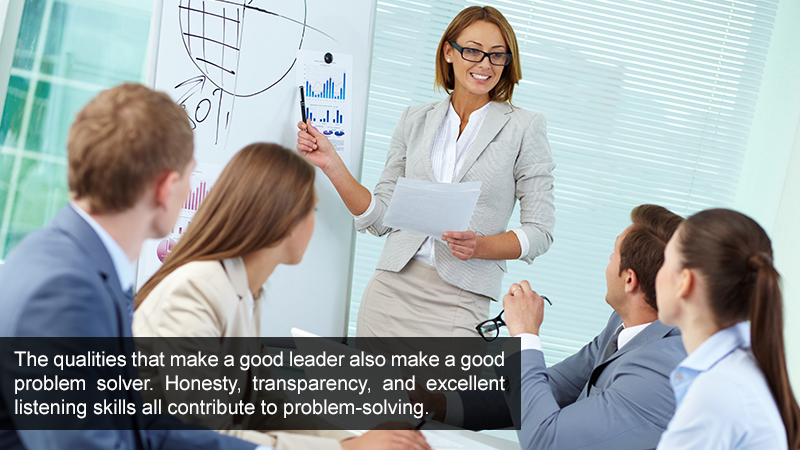 The qualities that make a good leader also make a good problem solver. 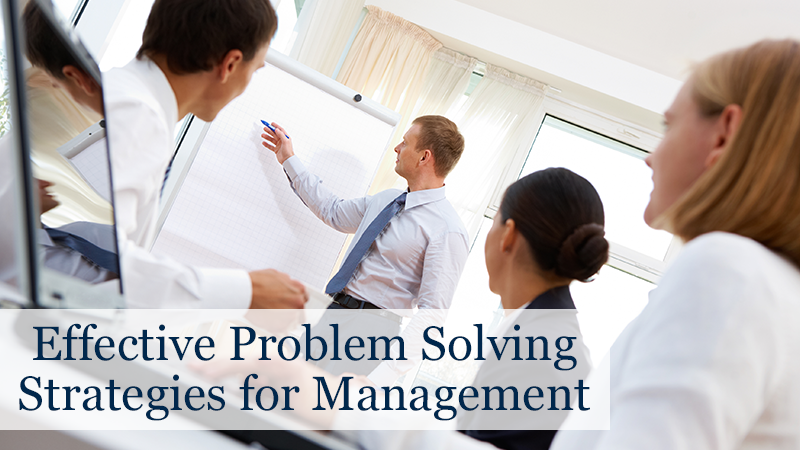 Honesty, transparency, and excellent listening skills all contribute to problem-solving. A strong leader must care about people and processes. Vision and resiliency contribute as well. Once you solve one problem, another pops up. A good problem-solving leader remains dedicated to their business and works proactively rather than reactively. Aside from personal traits, your business must provide a transparent communications process that allows improvement suggestions from all levels and, in fact, encourages employee suggestions from all levels. Communication is necessary for any business, which is why it’s essential to let your employees voice their concerns. If employees have a difficult time discussing a situation they or another employee are involved in, it’s up to the problem-solver to open the floor for dialogue. After the discussion has been made and all sides have been heard, the leader and their team can create a plan to resolve the problem. Your organization also needs a solid foundational strategy. Creating a sensible plan that you stick to no matter what problems arise is the way to make your business grow. You need to use the same strategy to address every problem although the problems may vary vastly, as will the solution. Have a strategy in place to improve your procedures. The leaders of your business should be able to make problem-solving an easy process that can ultimately help your business expand. Having open-minded team members and leaders can help you solve problems quickly and efficiently. These individuals will see beyond the issue at hand and will look at the entire situation and how it will affect your company. If you want your problems resolved faster than they were created, make sure to hire open-minded people for your team. Your ability to address business problems affects your overall success. You can’t cover a bullet wound with a bandaid and expect it to heal. You and your management team can use these strategies to improve your business. Contact us at Starr & Associates for help in making effective changes in your business. Better management prompts great results. Let’s get started.